In cooperation with the market research institute GreenSurvey GmbH, Selecta one tested its Pink Kisses® sales display by means of modern eye-tracking directly at the point of sale. The outcomes are practice-relevant results for the breeding company but also for the whole green industry. 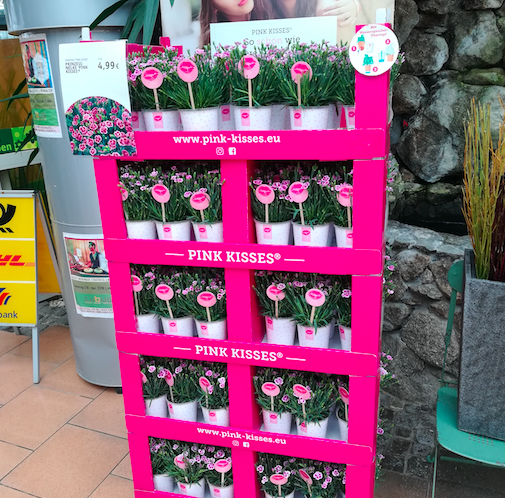 As part of the marketing concept for the mini carnation Pink Kisses®, the breeder of young plants Selecta one offers not only promotional marketing material but also a sales display for high-frequency areas at stationary retailers. In other industries, sales displays are proven and common tools to increase sales. 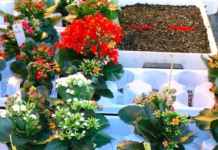 However, in the gardening retail trade the question is raised whether there is an added value and if such displays fulfil the purpose concerning the attraction of attention and animation for buying. 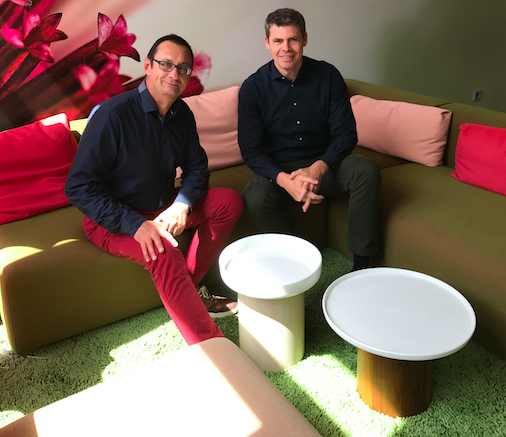 With this challenge, Richard Petri, Director of Marketing & Product Management at Selecta one, contacted the Institute for Market Research GreenSurvey GmbH, a spin-off from the university of Weihenstephan-Triesdorf specialised in market research in the green industry. 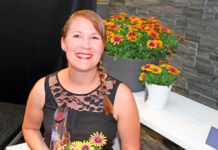 “When I read the task, it was clear for me that this could be answered methodical excellently by the eye-tracking technology.”, says Dr. Paul Lampert, manager and responsible project manager. For the method of eye-tracking, test persons get special eyeglasses on, which make it possible to track the eye movement precisely and with this make it possible to retrace the whole process of a purchase decision from the customer view. The method belongs to the qualitative market research, which means that not the number of tested persons is of importance, but the more detailed information which this technology provides from each of the tested persons is significant because this gives conclusions on the consumer behaviour. For one week the garden center Donaumarkt (GrünErleben) in Straubing in Bavaria was study location where the sales display was positioned in the highly frequented entrance area. Nearly 70 persons participated in the study and weren’t informed about the research question in advance. The test persons got the task to do their purchases as usual – but equipped with the eye-tracking glasses. According to the target group of the product, young and middle-aged women were recruited primarily. Central issues of the study were the attractiveness of the Pink Kisses® sales display at the point of sale, if the customers get the core messages, which are communicated with the help of the display, how the customer journey and selection process looks like and the importance of the price of the product. The questions were answered by the evaluation of the eye-tracking videos with special software and by the interview of the test persons afterwards. There was a clear result as answer to the question concerning the attraction of attention by the display: 85 % of the respondents were attracted by the display. According to the answers this was caused by the conspicuous design of the display in Pink. 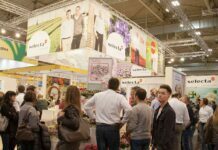 “This is a decisive factor because nearly 70 % of the purchase decisions are made at the point of sale.”, says Dr. Paul Lampert from the GreenSurvey GmbH. The further results confirm Selecta’s brand strategy for the Pink mini carnation. Especially the customers who bought the product could remember the brand name “Pink Kisses®” when being asked afterwards. 30 % of the respondents answered the question “How likely is it that you buy Pink Kisses® as gift?” with “highly probable” and 42 % answered with “probable”. With this they interpreted Selecta’s positioning for Pink Kisses® as gift correctly. Concerning the importance of the price the study found out an extremely interesting fact. During the test week two different prices were tested for a Pink Kisses® in a water storage pot: € 4,99 und € 2,99. It became evident that there was no significant deviation in sales from the lower price. The data of the eye-tracking shows: Only about 10% of the test persons mind the price tag, but 50% of the test persons do a quality check. The analysis of the selection process of the customers in detail, according to the course of gaze, clarifies that the price is not observed until the last third of the selection process. First, the process is initiated by emotional impulses and in a later step the “hard facts” are being checked and brought in, for example the price. 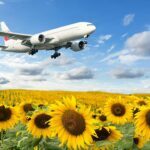 “This result shows, that emotionally charged marketing measures can be the right way to free oneself from price dictation, at least with some products.”, says Dr. Paul Lampert, manager and responsible project manager at GreenSurvey. The eye-tracking study confirms the eligibility for impulse purchase. At the same time, the study points out where there is potential for improvement, for example regarding the design of the sales display and the indication of the additional benefit such as the water storage pot, which Selecta one will take further into account.